Like all of the watches in the Planet Ocean collection, the Ceragold models have professional dive features including a unidirectional rotating bezel and a helium escape valve. The 18 Ct red gold applied indexes are coated with white Super-LumiNova emitting a blue light as are the polished, facetted 18 Ct red gold hands. The exception is the minute hand which emits a green light, as does the dot on the diving bezel. This feature makes it easy for divers to keep track of the elapsed dive time at a glance. The watches in the Planet Ocean collection are water resistant to 60 bar/ 600 metres / 2000 feet. 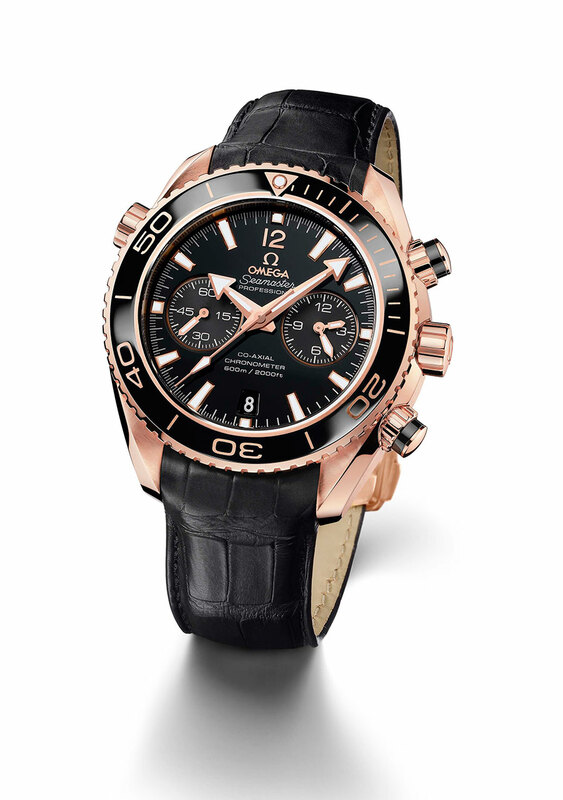 No less impressive is the OMEGA Co-Axial calibre 9301 at the heart of the Seamaster Planet Ocean Chronograph Ceragold. Launched last year, it was the first chronograph in the brand's proprietary family of Co-Axial movements. The movement has a special luxury finish including an 18 Ct red gold rotot and balance bridge; the screws, barrels and balance wheel are blackened. With the OMEGA Co-Axial calibre 9301 it is possible to adjust the hour hand without affecting the performance of the minute or seconds hands, allowing for easy adjustments for travellers changing time zones. The movement is equipped with a silicon balance spring and like all Planet Oceans, the watch comes with a full fouryear warranty. The OMEGA Seamaster Planet Ocean Ceragold 42 mm White Planet St. Moritz combines a 18 Ct red gold case and a white ceramic bezel with a Ceragold diving scale. It is dedicated to the Swiss mountain resort town of St. Moritz where each winter, OMEGA times some of the world’s most prestigious bobsleigh races. The brushed screw-in caseback is engraved with "Si14" (a reference to its silicon balance spring), "Ceragold", "White Planet" and "St. Moritz". The caseback also has a sapphire crystal that allows a clear view of one of the world's finest mechanical watch movements. 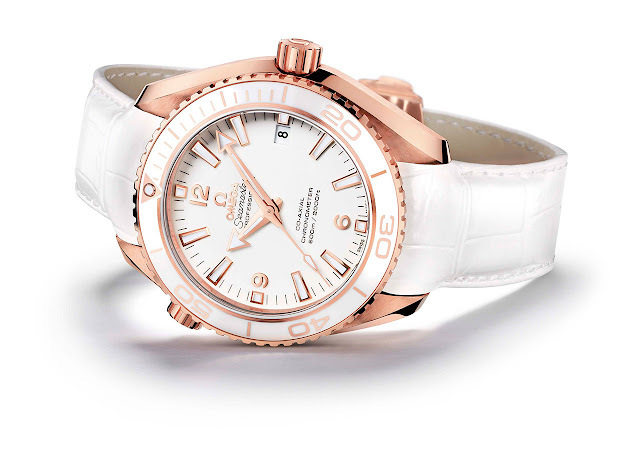 One of the year’s highlights: With their professional dive features, chronograph performance and Ceragold and ceramic bezels, the OMEGA Seamaster Planet Ocean Ceragold wristwatches are among the most eagerly anticipated new products of 2012.